There were four Grand Prix International candidates and the winner with the most votes, announced on stage by the Jury Secretary Mr Lars Engelbrecht, was Mr Joseph Hackmey (United Kingdom) for his exhibit “Classic Switzerland”. 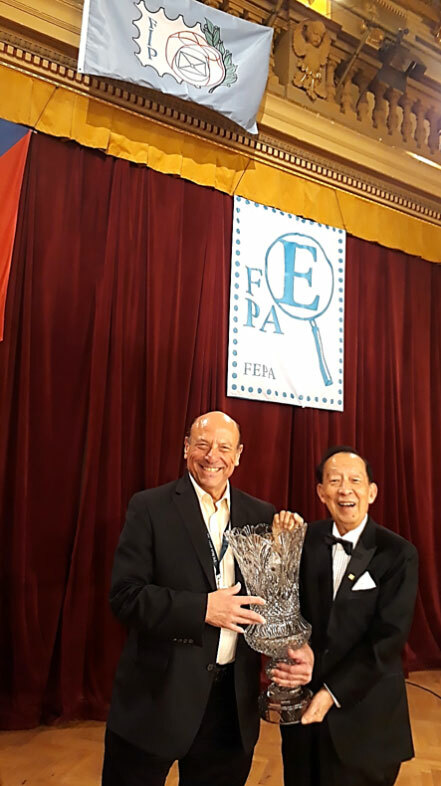 Mr Joseph Hackmey (right) receiving his Grand Prix International prize “Crystal Vase”, sponsored by FIP, from FIP President Tay (left) during the Palmares Night. 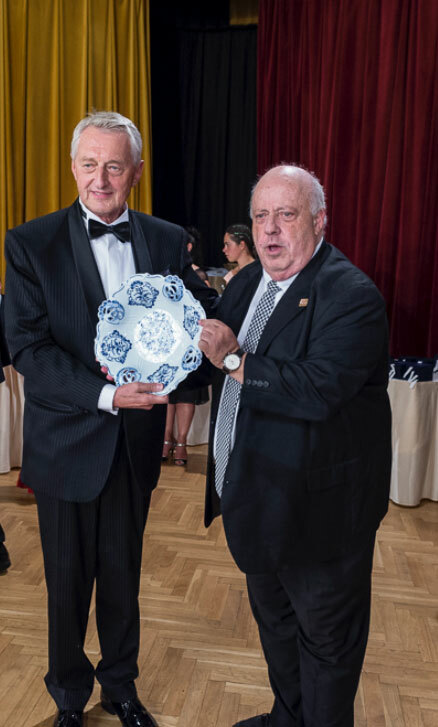 There were two Grand Prix National candidates and the winner was Mr Vit Vanicek (Czech Republic) for his exhibit “Postal History of Czech Lands (from the Beginning until 1867)”. A total of 38 Large Gold medals and 64 Gold medals were awarded in this exhibition. Congratulations to all the exhibitors!